The glasses we have are created using exclusive and cutting-edge technologies and are the result of Essilor’s ongoing research to provide the wearer with the clearest vision possible. 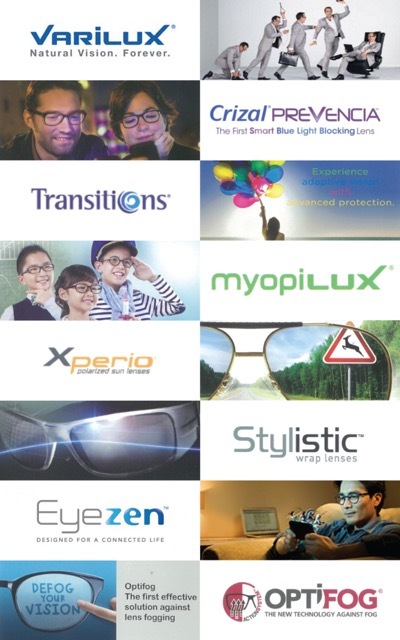 Crizal® lenses have been worn and trusted by over 300 million people all over the world. 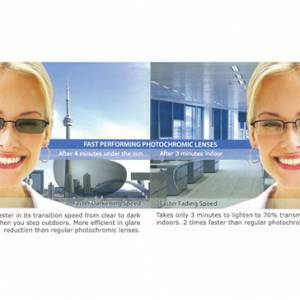 Unlike any other pair you’ve seen before, these spectacles offers 360° protection from the damaging effects of UV rays all the way to fighting the five enemies of healthy and clear vision, which are the glare, scratches, smudges, dust, and water. Crizal® lenses make your night time driving safer and more comfortable night time driving by reducing glare from headlights, taillights and street lights. 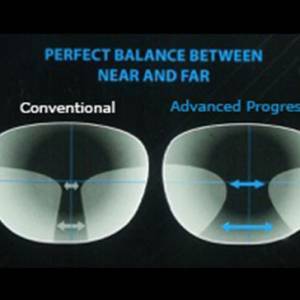 Stay clean and achieve a clearer and glare-free vision when you choose Crizal® lenses. These eyewear have refined finish which allow people to see your eyes instead of your glasses. 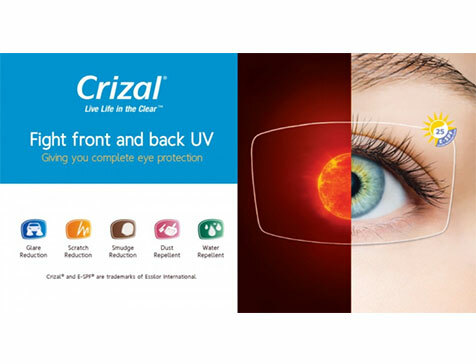 Crizal® lenses mean fewer headaches and lesser eye fatigue which are usually caused by overexposure to computer screens and overhead lightings. Crizal® lenses are undeniably the number one choice of every eye care professional around the world for their patients. Aside from the fact that they deliver best-in-the-market performance that suits your lifestyle needs. 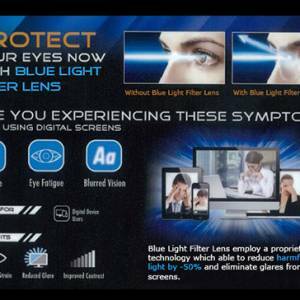 Get these avant-garde lenses only at Eyecon Optical. Prices start at $100 only. When it comes to your eyes, trust only the experts! contact us at +65 96688027 (Call/SMS/Whatsapp) or write your enquiry here to schedule an appointment to one of our eye care specialist.